I love a craft that requires only a few simple supplies! It's a five-minute (or LESS) craft! No more losing your car keys -- not when you have this gorgeous, colorful, tassel keychain, customized exactly the way you want it!! 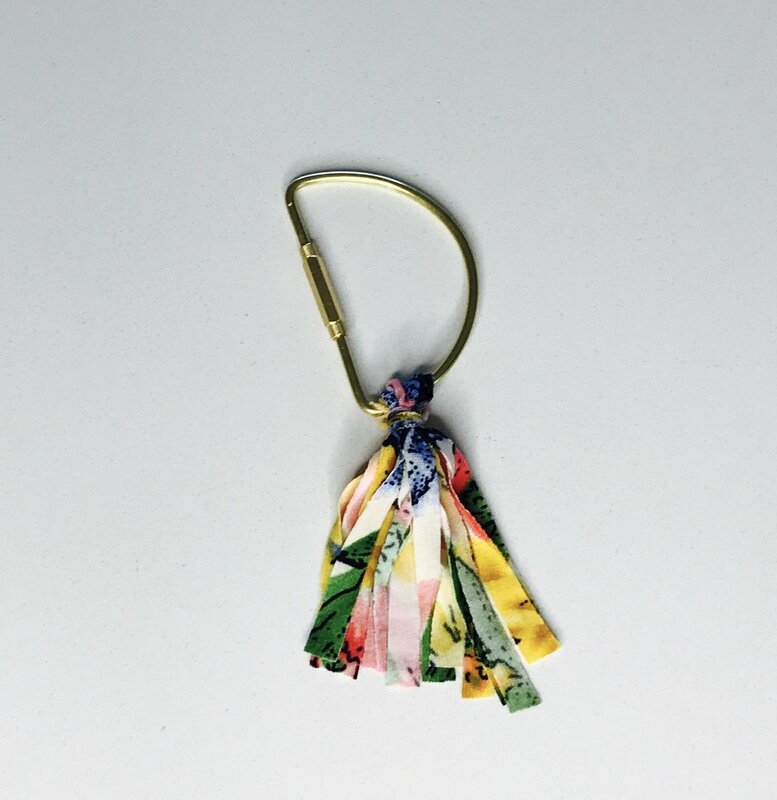 I used an old maternity dress with a beautiful floral print, and transformed it into this boho, fringy keychain! Let's get to it! 1. Cut a piece of fabric into a rectangular shape. I recommend around 8 inches long and about 3 inches wide. 2. Fold the fabric in half lengthwise. 3. Being very careful to not cut through the top fold, use your scissors or fabric cutter to create strips (the fringe). Set aside. 4. Cut a thin strip of the same fabric and use it to tie a knot around the fringe. You will want to make sure that when you gather the fringe together, you keep the top fold as clear as possible so that you can slide your tassel onto the D-ring with ease. Here's my LIVE TUTORIAL! Please SUBSCRIBE to my YouTube channel!! And join me LIVE on my Facebook Page @AbbieLive!! !